Continual Assessment & Peer Feedback - We don't do that! In the second of our 'lessons from aviation' series we tackle the issue of continual assessment and peer feedback. My flying career started out with Chipmunks in the Royal Air Force and like any good training establishment every trip flown was under instruction and assessed. I very quickly became accustomed to being told how and why (why being very important) things were done and also became accustomed to the criticism. Back in those days you were told what you had done wrong and you just had to assume that if you weren’t getting criticised all was good. 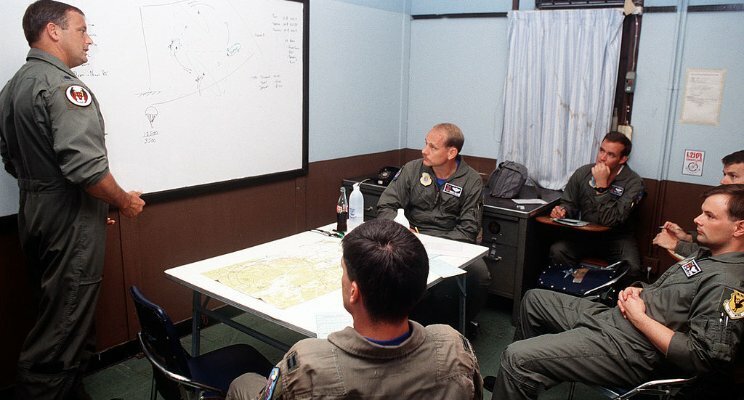 Every trip was assessed, and a score given, even the solo sorties were assessed be it from your instructor in the tower on your first solo or the leader of the formation when flying solo on the wing – you just couldn’t get away from the praying eyes of the staff. Flying training in the RAF didn’t just involve flying, morning met briefs had to be given by the students, systems briefs were prepared and given on no-fly days and all these were criticised, assessed and scored contributing to your final overall grade. 60 hours later I was then sent to fly the Tucano Turboprop so assumed that despite all the criticism all had gone well. 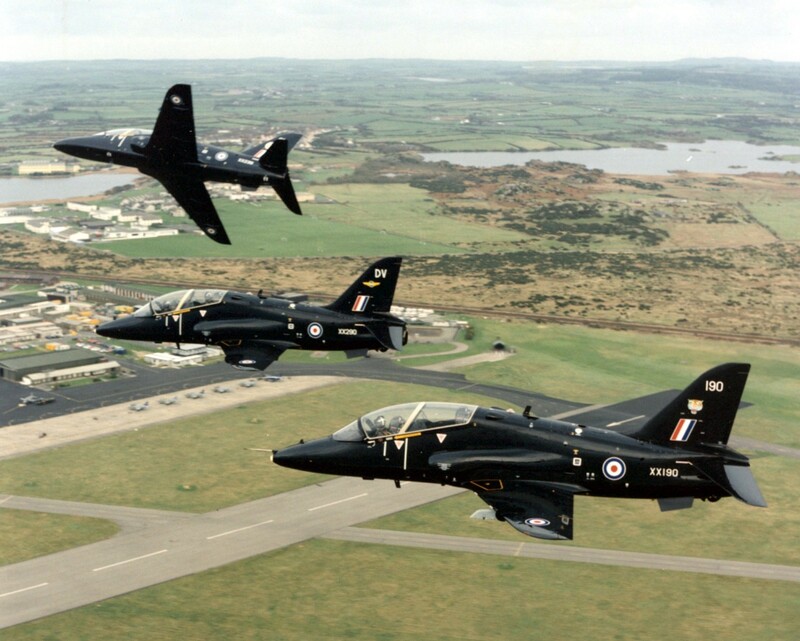 Tucano instruction was again conducted in the same way and after months of training, assessments and criticism I graduated and was told my future was on the fast jet path and so off I went to RAF Valley to fly the Hawk. Fly training on the Hawk was just as unforgiving but by this time you were desensitised to the criticism and you just got your head down and worked hard. After months of tears and sweet and if you are still around you get to the streaming party. This is where you are welcomed into the world of the grown up fast jet pilots and told which front-line jet you are going to be posted to. I was selected to stay at RAF Valley and become an instructor and instruct what I had just been through, by all accounts a very prestigious posting with the “Creamy” title but it certainly didn’t feel like it as I barely felt like I had mastered the Hawk. I may have painted a grim picture of RAF training, but it worked! There was no time for patting people on the back and telling them what great little baby pilots they were, there was a lot of training to be given in very little time. That also led to the fact you never actually felt fully comfortable with any discipline or aircraft, as soon as you had mastered either you were on to the next stage. I remember my days as a fast jet instructor at the age of 23 fondly, but despite the fact I was an instructor I was still being assessed on a daily basis. Flying in formation with more experienced ex front line pilots who would give you feedback on landing and also the regular checks by senior instructors meant that you could never get away from it, but it was all part of becoming a better pilot and instructor. Finally, after my tour instructing I was sent to the front line to fly the Jaguar and again the training continued on a daily basis by the more experienced pilots. As a junior pilot I was given the position of Squadron TRI/TRE and had to assess and examine all pilots from the junior lad to the boss so despite being assessed I also got to assess. Even the Squadron boss didn’t get away with criticism although it was generally delivered in a nicer way. That was the life of an RAF pilot, assessing and being assessed but all for good reason. Why I am writing this you ask? After my military time I joined a company flying corporate jets and went through what to me was a very strange process, the type rating course. All simulator based there seemed to be no instruction at all on how to fly the aircraft or even techniques to stop you putting the undercarriage through the wings on landing, but despite this I managed to pass it ok or a least I got a piece of paper saying I had passed. Is this what a PC (politically correct) world is doing to us? Are we so worried about commenting on somebody’s professional ability that we will get sued? I believe that as professionals we should constantly strive to improve our skills and as aviators also improve safety. The days of the cross-cockpit gradient where Captains wouldn’t even speak to the First Officer are generally behind us so why don’t we communicate and impart our experience? Now ten years down the road flying civilian aircraft I am yet to encounter anybody willing to criticise what I did wrong or give me a snippet on how I could do it better, maybe I’m the best pilot in the world and have nothing to learn – Oh, that the attitude that gets you killed!!! If you would like to regularly receive our news articles then we'd love you to follow us on social media and perhaps join in with the conversation...every aviator has a story that could save someone elses life.